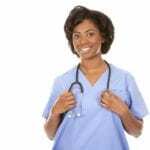 Certified nurse assisting is high on the list when it comes to employment growth. Providing direct care is rewarding, but it is a tough job. Unfortunately, the pay and benefits do not always match up with the volume of work CNAs do on a daily basis. Caregivers leave the job at an alarming rate, leaving employers with the dilemma of finding replacement staff. For those who feel a calling to patient care, this entry-level position serves as a stepping-stone to nursing or another career in health. 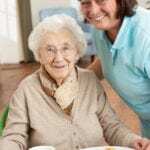 A dramatic increase in the number of people over 65 provides abundant opportunities for caregivers in various aspects of health. Many adults with no experience in patient care can complete a certified nursing assistant program in just six weeks to prepare for a career in the fast-paced health care sector. CNA classes include a classroom and practical component in accordance with Georgia State and Federal laws. Students learn the role and responsibility of the nurse aide, personal care, hygiene, nutrition and feeding, infection control, and patient safety in preparation for practice. At the conclusion of a state-approved program, graduates must take the Georgia CNA Certification Exam, comprising of a Written and Clinical Skills component, to become a Certified Nursing Assistant. STAT Medical Services facilitates a certified nursing assistant program to prepare students for entry-level employment in an acute or long-term care facility. The program runs for three weeks and is approved by the Board of Nursing. Students will develop the essential skills to care for patients through instruction in the classroom as well as practical learning experiences in the school’s lab and clinical facility. STAT has an excellent pass rate, so students can go on to pass the exam on their first attempt and become state certified. Instruction will include basic nursing skills, medical terminology, anatomy and physiology, infection control, communication, emergency procedures, and the role of the nurse aide. Students will be scheduled for the state test – available three weeks after completing the program. Tuition for the program is $620. It includes the state test fee ($112), the course textbook, and the workbook. Muscogee Manor Center offers nurse assistant training to adults who are qualified for certification as a nurse assistant in Georgia. The program comprises on classroom and hands-on training. Classes meet Monday through Friday for approximately 7 weeks. Class times are 8:00 am to 3:30 pm. In the first 12 days, students gain essential knowledge in the classroom in preparation for the clinical experience. The final 5 weeks of classes will be conducted in a nursing home. Students must score 70 percent or more on the ongoing assessments to complete the program. Full attendance is a critical part of completing the course. Graduates are eligible to take the State Certification Exam. Applicants must have a high school diploma or GED, pass a background check, drug test, and interview, and be available to work the first or second shift from Monday through Sunday. Students accepted into the paid training program will receive $7.25 per hour. However, they must purchase the required uniform and shoes. 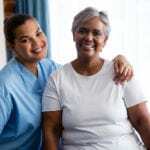 The Community Services division of the Enrichment Services Program offers Nurse Aide Training to prepare low-income adults for employment in the healthcare sector. The training is approved by the state affording graduates the opportunity to take the State Certification Exam to become a CNA. Students will acquire the skills to deliver direct patient care through classroom lectures and practical learning experiences in a lab and at a clinical facility. Training is free for eligible persons.